Cat has an MSc Biodiversity and Conservation and BSc Genetics. She has worked in informal education in zoos for over eight years both in Ireland and the UK. She also spent a year as a research scientist working in Madagascar, collecting data on ring-tailed lemurs. This was a great experience which she draws upon when discussing conservation techniques, habitats or animal behaviour with students in the Zoo. Cat loves being able to support teachers bringing topics to life through on-site activities, downloadable resources, and ZSL in Your Classroom activities. Sam has worked for the National Trust and ZSL in delivering informal education to a wide range of ages after receiving a BSc Conservation Biology. Her passion is marine conservation. At the Zoo, Sam loves the range of questions from students about animals, their conservation and what it means to actually work for wildlife. Her work engages students in ways they can get involved with conservation, from recycling to knowing the impact of their actions. Through her work with our self-guided trails she ensures all students who come to Whipsnade Zoo see the animals as ambassadors for their wild counterparts and motivated to work for wildlife. Following a degree in zoology, Holly decided that she wanted to work in a field that involved engaging people with science, wildlife and the natural world. She completed a maters in science communication in 2015 and then joined ZSL to work in the press office, publicising the science and conservation work of the organisation to the media. She moved across to the Discovery and Learning team in early 2018 to work in a more people-facing role, translating her communications skills to teaching. 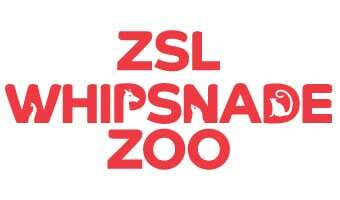 She loves working with the huge range of ages that visit ZSL Whipsnade Zoo and nurturing inquisitive minds. Kathy has worked in zoos for over twenty years, primarily as a zoo keeper and has a lifelong passion for all animals, especially primates. She has a Diploma in Applied Biology, a BSc in Zoology and a Professional Graduate Certificate in Education (PGCE). During her time at ZSL, Kathy has worked on the WAPCA conservation programme which works with two of the most endangered primates in the world. Kathy currently runs the practical learning programmes such as Zoo Academy and Junior Zoo Academy. She loves seeing students’ progress through courses and development of their skills and knowledge.